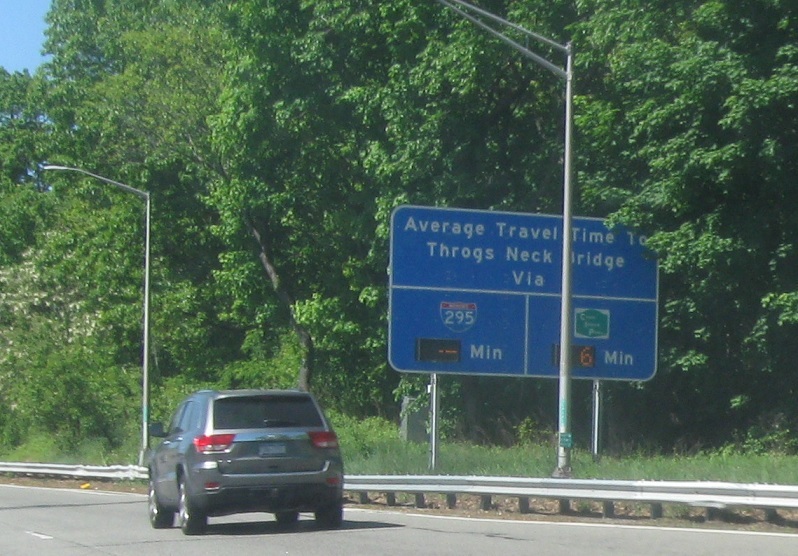 As the Grand Central Parkway begins, we’re advised that we’re seven miles from NY 25. In a mile, we’ll approach the Cross Island Parkway. 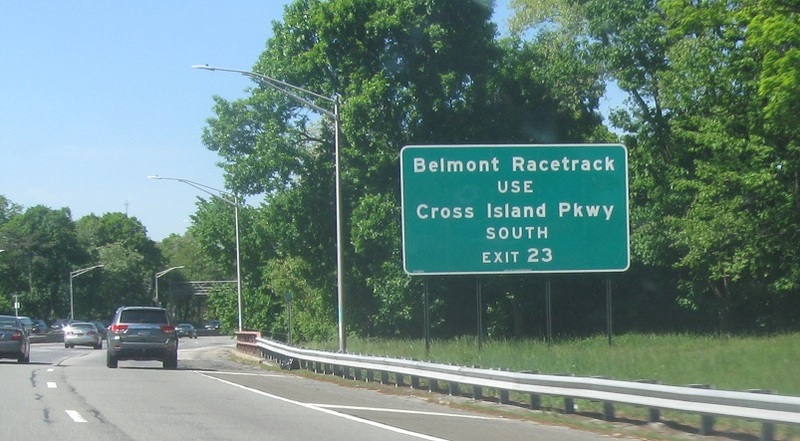 Belmont Racetrack traffic should use the southbound Cross Island. 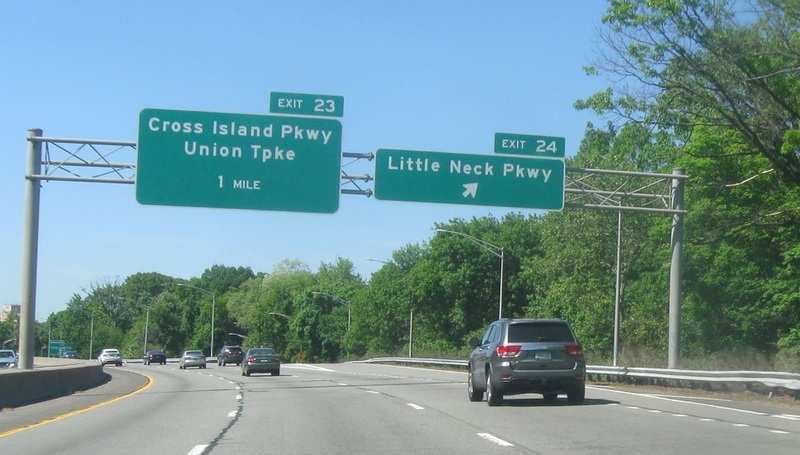 Six minutes to the Throgs Neck via the Cross Island. 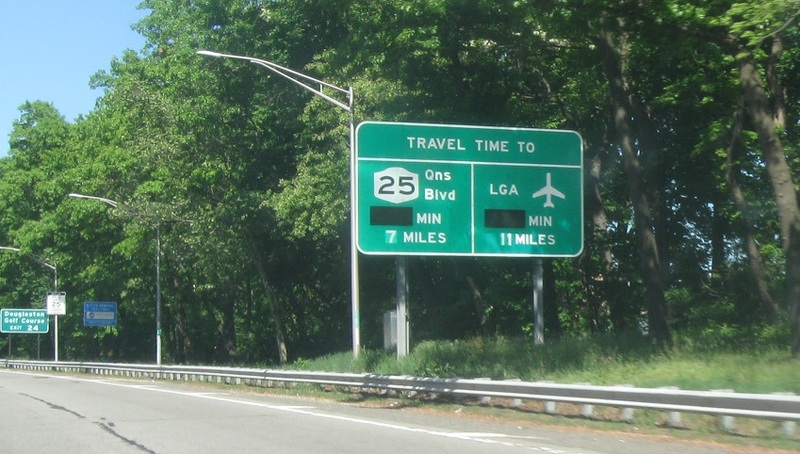 The time via I-295 is unknown. 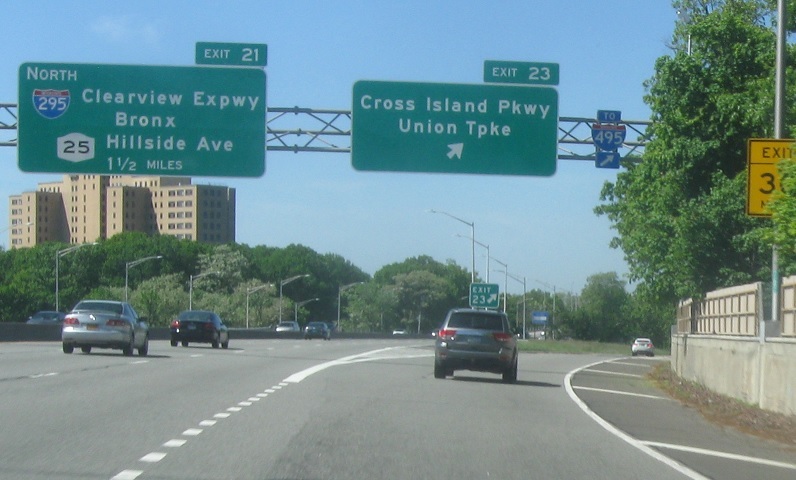 Exit for the Cross Island Pkwy to I-495. Keep left for the I-295 Clearview Expressway and Route 25.